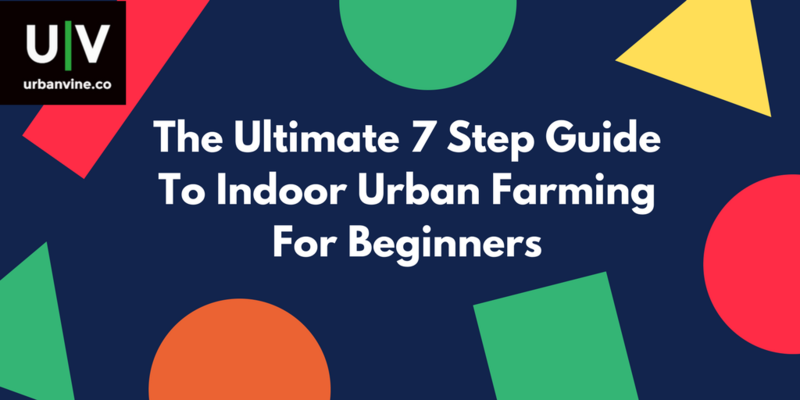 In this article, we take a deep dive into basic urban farming best practices, so you can learn how to start your first urban farm without any experience. Before you start your urban farming operation, you should probably plan out exactly which method you will use. We will start here with Chapter 1: Choosing your urban farming production style. There are a variety of different methods to grow food on your urban farm. Even as a complete beginner, it is good to know the details on each type of urban farming to consider. Why? Some may be more appealing to you, and some may be easier to start out with. It really all depends on your situation. We will cover all of these methods so that you have an explanation. 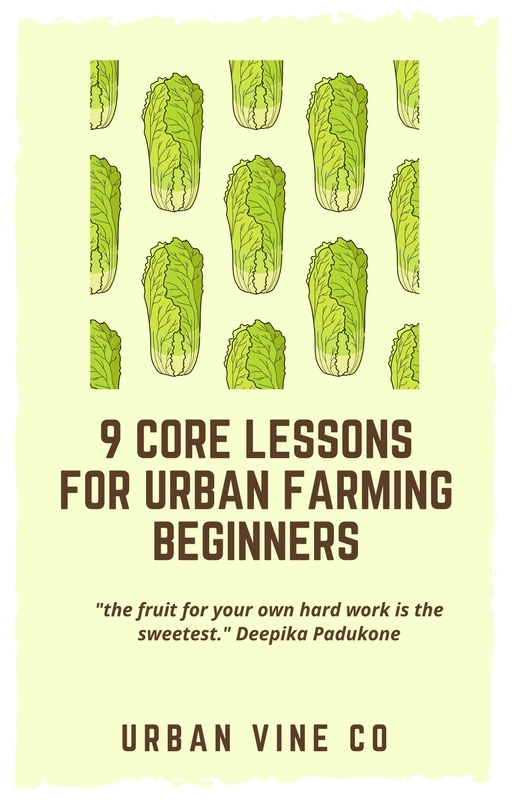 However, the following chapters in this guide will primarily focus on media bed urban farming. Plants float on styrofoam "rafts" or similar material and roots grow down into the water through holes in the rafts called "plugs". Water flows through the tank at a set rate and gives nutrients to the plant roots. DWC is common in hot climates and is more commonly used with smaller plants like leafy greens in an aquaponic system design (with fish). Your goal should be to replace the entire tank volume at least 1 time every hour. The absolute minimum speed of circulation in DWC is approximately 6 times per day, or 1 time per 4 hour period. There are only special circumstances where this slow speed is acceptable. One example is when plants have just recently been placed in the DWC system. In a system with plants just starting out in DWC, you will need to aerate the water with a bubbler. 1) rafts offer very little support for large plants - larger crops like tomato will start to fall over in a DWC system lacking support. Building trellis systems on top of DWC is technically difficult to create and maintain, and not worth your time. 2) Leafy green and similar crops will have thinner and slower growing root systems. This is what you want in DWC. Large and tangled root systems that grow rapidly, which are more common in larger plants like tomato, will cause nutrient concentration gradients in the DWC tank, especially if it is larger in size. This imbalance can lead to a whole new set of issues like higher nutrient costs and less harvestable crop in areas of the DWC tank with lower nutrients. DWC tanks will often range in size from 100 to 800 square feet. Although it was originally popular to create the DWC tanks by pouring cement, a more popular construction form today is creating the tank out of wood with rubber lining. The key biological factor to maintaining a healthy DWC system is to have proper oxygen concentration in the tank as all times. Because the rafts are covering the surface of the water, oxygen from the air cannot diffuse into the tank water. The result of this lack of access to the outside atmosphere is that the only ways to replenish oxygen in the tank are a) circulation and b) aeration, and oftentimes, both! Left without circulation from the pump for even an hour, plants in the DWC will start to be damaged and may even suffocate. Keep this in mind! If planning an aquaponic DWC system design, remember that waste from the fish must be filtered upstream of the plants. The reason for this is unprocessed waste binds free oxygen in the tank water, leaving no oxygen for the plant roots. Typically DWC is more commonly used with aquaponics. NFT is more commonly used with hydroponics. Assuming an aquaponic DWC set up, you will want to stock fish at a typical "stocking ratio", approximately 1lb of fish for every 10 lb of water in your DWC tank system. Spatially, you will want to construct your DWC directionally similar to a greenhouse. Waterflow should start east and flow west. Nutrient film technique (NFT) is a primarily hydroponic system used in greenhouse urban farming applications across the world. NFT is typically considered to be a light-weight, cost-effective form of greenhouse production, and for these reasons is a dominant method used. NFT has many similarities to deep-water culture (DWC), except the area under the plant at the root level is primarily exposed-air, with only a thin film of water running at the base of the "trough". For this reason, nutrient film technique has been considered in the past to be a type of aeroponics. In practice, NFT is primarily used with hydroponic applications not aquaponic. The reason why NFT is not used for aquaponics is that any sediment or solids created by an aquaponic system can accumulate at the bottom of the trough and damage root systems. Additionally, NFT has less stable temperature in the root space due to the air-exposed roots as opposed to water exposed roots in DWC. Water is emitted at one side of the trough, but only enough for a thin layer of water to funnel to other side. In order to encourage funneling, troughs have a slight declined angle, allowing the water to trickle down slowly and nourish all the roots. Chilled water is recommended for NFT because it has less thermal stability than Deep Water Culture. Off the shelf hydroponic nutrients can be used with NFT systems. - Tapered plugs to hold plants (or net pod). - In order for the water to flow from one side of the trough to the other, there should be a slight decline from the water input side, approximately a 5-10 degree decline. - Trough length will typically be 50 feet maximum. Any longer trough length will lead to nutrient imbalance and deficiencies on the far end of the trough. The ideal length is 20 feet or less. - The only way to increase nutrients at the end of the trough is to increase water flow speed, this can damage roots and decrease efficiency. - Trough depth should be 4-8 inches. Likewise, trough width should be to 4-8 inches. Similar to DWC aquaponic production, nutrient film technique will typically support low structure plants like leafy greens and herbs like basil. Because the majority of the root system is exposed to air, roots of plants grown in a NFT system tend to accumulate and tangle at the bottom of the trough (near the water!). This root combining does provide additional structural support beyond the raft above the roots, and makes it easier for NFT to support mid sized plants compared to DWC systems. The downside of the extra root support is that plants will need to be harvested all at once, because their root systems will be deeply interconnected. NFT systems can fit in almost any greenhouse. They have a lot of sizing flexibility compared to NFT. Aquaponics will typically not be used with NFT, especially for a beginner. However, in an organic system, you should biofilter the water upstream from troughs. The goal here is to process waste and reduce sediment before water reaches the root system in the troughs. If your intended growing space is high value, which is common in an urban environment, you will want to consider vertical production before NFT. NFT is more suitable for low to medium value land where a greenhouse can be constructed economically. Media beds follow the model of the "traditional" growing style for plants. The key difference is that typically non-soil media will be used like rockwool, coco coir, or crushed rock. This "media" is the support system for the plant and root system, and is held in a container that drains water. Different media options offer benefits and downsides. Some types of media have different water retention characteristics and also dictate how your plants will be harvested. Media beds can be used in hydroponic or aquaponic systems. How do media beds work? Growing media that mimics soil is filled into a container. Water is circulated through the media, either from the bottom of the container or from the top. An angled base of the container ensures proper drainage of the water. Watering is as important as ever, and you need to measure your water flow into the growing media, regardless of what method of watering you use (see different types below). Generally speaking, you should saturate the media with water approximately 2 times per hour. If the container has a 100 liter capacity, you should aim to move 200 liters / hour through your system. There are 2 primary methods of circulating water through a media bed. One is top-irrigation also known as constant flow. In contrast to constant flow irrigation from the top, another method called ebb and flow involves filling the bottom of the container with water, creating an air vacuum in the growing media and uptake of water into the media, then letting the water drain back out the bottom. - Growing media such as: peat like materials, vermiculite, perlite, coconut fiber, clay pellets...the list goes on and on. There are hundreds of different types of growing media! - When buying growing media for growing beds in a hydroponic system - buy 4 cubic feet of media for every gallon the container holds. - Container (will typically be approximately 50 sq feet / 5 sq meters) and will always be less then 1-2 feet / .5 meters in depth. Plastic containers are common and often provide the best unit economics. Other options include wood with plastic wrapping, or even steel with plastic covering. Compared to deep water culture (DWC) and nutrient film technique (NFT), which are more commonly used to grow herbs and leafy greens, media beds provide more flexibility for growing because they more closely resemble natural soil. The result is they have much more structural support. Beyond structural support, media beds offer a better environment for nutrients to build up. This is perfect for larger plants, which have higher nutrient needs than smaller plants. For these reasons, you can consider growing leafy greens, but most people grow larger plants like tomatoes with media beds. Bato buckets are a type of media bed growing, except smaller "bucket" sized containers connected by a drain line grow plants instead of one large container. They are more frequently used with hydroponics than with aquaponics. The advantage of batobuckets is that "vine" plants like cucumber and tomato can grow with plenty of space between each other (buckets are typically spaced evenly not tightly packed together). This spacing advantage can be utilized without losing the benefits of a media bed growing system. Last, bato buckets offer harvesting flexibility. With each plant operating as a discrete unit, there are no tangled root systems that require harvesting all at once. How Do Bato Buckets Work? Buckets are interconnected on the main drain line and each hold growing media. Water is delivered into this system through drip irrigation from the top of the buckets. Water flow should be approximately 3-5 gallons per hour for each bucket depending on what crop you are growing. Cons: Oxygen is typically plentiful in a bato bucket system design. The one potential downside to watch out for is clogged drains at the bottom of buckets. This improper drainage can cause roots to weaken and rot. Additionally, bato buckets are not the most economically efficient growing option at commercial scale, they are more suitable for small scale urban farmers. Pros: The good news is that in a bato bucket system, each plant is isolated, so any drainage buildup or other issue in one bucket will not affect other plants in the system. Simplicity. Bato buckets are extremely simple to set up, and can easily scale down in size for the beginner urban gardener. Larger crops can be grown in bato buckets. The applications are similar to media beds, and you have more options than deep water culture or nutrient film technique. Common examples of veggies grown in bato buckets include peppers, cucumbers, and tomatoes. Depending on the size of the plant, it may be possible to have multiple plants in one bucket. For hobbyist growers that aren't concerned with maximum return, one plant per bucket is a easy to implement. - Pump for top irrigation, ideally capable of pushing up to 5 gallons per hour through each bucket. - trellises for support (optional). Aeroponics in theory is most similar to nutrient film technique (NFT), execpt that instead of a thin film of water at the base of the roots of your plants, water is misted onto the roots. In order to implement an aeroponic system, you must use a highly calibrated spray nozzle powered by a pump. Extensive filtration is required prior to spraying. Due to considerations like temperature and delicacy of plant roots, the aeroponic spraying system can be difficult to optimize, and even more difficult to maintain over time, as spray nozzles often experience residue build up and require cleaning. For this reason (and others detailed below), aeroponics is considered to be a mainly academic and theoretical style of growing that is still not being successfully implemented commercially or even on scale larger than a 20-30 square feet. What are the pros and cons of aeroponics? - Aeroponics is not suitable for commercial crop production. What types of plants are best for growing with aeroponic? Most plants can be grown aeroponically. However, keep in mind that similar to Deep Water Culture (DWC), there can be not enough support for root systems of larger plants like tomato. Vertical farming is a combination of many different systems and philosophies for hydroponic and aquaponic food production. The common trait is that the "plane" of production is vertical, not horizontal. This means that the "ground" in a vertical farming system is not parallel to the ground we all walk on, but in fact perpendicular! This is a common misunderstanding, vertical farming is NOT simply growing in a vertical fashion, although this is often the case. The goal of a vertical farming system is to change the plane of production to more efficiently use growing space. In an urban farming environment, where space is tight (and expensive), vertical farming can be the best commercial form of production. The predominant method of vertical production is media based vertical farming. Styles include "tower" applications (like zip grow) and "green wall" applications, among others. When using media-based vertical farming, there are 2 types of media: fibers, and aggregates. There are at least three reasons why fibers are the optimal type of media for vertical farming. 1. They are more sturdy when oriented vertically. Aggregate media does not hold up well against the pressure of a vertical system. When the aggregate media compacts under pressure, this leads to anaerobic conditions in the growing medium which of course will harm the root system and likely destroy your plants. Vertical farming systems are typically made of durable plastics. Of all the production styles covered in this chapter, vertical farms one of the most commercial techniques. Set up can be very expensive and time consuming. A lot of the unit economic discussion with vertical farming hinges around the height and spacing of vertical towers. Simply increasing the size of vertical towers by 2x will not 2x crop output. The reason for this is that shade and spacing play a huge role in vertical farm yields (assuming you are growing vertically in a greenhouse or completely indoor environment). The solution to scaling a vertical farming system's yield efficiently is to have a lighting system that evenly distributes light on the surface area of the towers. What plants are best for vertical farming? - Vertical farming is a heavily commercial style of production. In a commercial setting, the goal is optimized yield. The vertical plane that defines vertical farming allows for short statured plants like herbs, loose leaf lettuces, and other greens to more efficiently grow in a small area. - Additionally, large heavy plants like tomato are difficult to support in a vertical system that naturally has less support. Trellis systems are necessary if you want to try to grow larger plants in a vertical farming system. For these reasons, these lettuce, other leafy greens, and herbs are the most popular crop choices for vertical farming. How do you find seeds? What nutrients, fertilizers and disease prevention should you use? How Do You Market Your Crop As An Urban Farming Beginner? If you thought this guide was helpful, we're glad! Be sure to hop on our newsletter below to receive more content on urban farming for beginners.